The Four Horsemen was a termed coined by psychologist John Gottman, Ph.D. Dr. Gottman is a researcher who has studied factors related to marital distress. His research has identified four behaviors that couples sometimes do that account for 80% of the difference between happy couples and distressed ones. These four behaviors also can predict divorce when exhibited by engaged couples. The behaviors have been termed the “Four Horsemen” because if they are not corrected they tend to predict endings. #1 CRITICISM The first horsemen is CRITICISM. Criticism is when you explain to partner how they need to improve as a human being, what is wrong with them, what they did do right, and so on. It usually takes the form of a “you-statement.” A “you-statement” usually begins with the word “you” followed by the critique. For example, “You know what your problem is? You always this, you never that, etc…” Usually the criticizer feels very justified and self-righteous in their criticism. After all, they are trying to help partner to be a better human being. #2 DEFENSIVENESS Usually when people are on the receiving end of criticism they respond by putting on a defense or arguing the merits of the criticism. While they criticism might be technically true partner will assert that they had righteous motives or the complaint is exaggerated or is leaving out something important. The crux of the communication in the reply is “what you just said has no merit.” Now if we go back to the point of view of the criticizer they are thinking “Wait a minute. I don’t say things that have no merit. You just implied that what I said has no merit. It’s probably because you don’t understand. 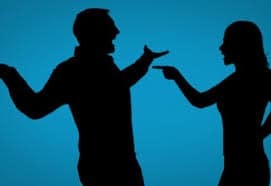 Let me repeat myself, or give you more examples of your shortcomings, or say it louder (we all know things are more true is said louder).” The person on defense may then attack with criticism of their own eliciting defensiveness in the other partner. This back and forth can continue until emotions get stronger. This escalation then tends to lead to the third horsemen. #3 CONTEMPT Contempt is a feeling of general hostility or disgust toward partner. Partner is seen is globally negative terms. Sometimes we can have a disagreement with someone and still have a sense of love or affection. With contempt, there is a loss of perspective. Partner is not feeling the love so much. One forgets the good qualities of partner and generally good motives they have most of the time. It can be expressed in subtle ways such as rolling of the eyes while partner is talking communicating disrespect or in more direct ways such as shouting or name calling. When all three horsemen are galloping around this often leads to a lot of emotional arousal. When this arousal gets to a high enough level it causes what is called “flooding.” Flooding is when I am getting a flood of stress chemicals being released along with the accompanied negative emotions of either anxiety of anger. 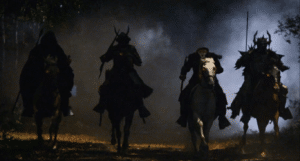 This flooding then leads to the fourth horsemen #4 STONEWALLING Stonewalling is when one partner shuts down and withdraws from the conversation. They might physically withdrawal by leaving the room or just mentally withdrawal by no longer participating in the conversation. The “silent treatment” is a good example of stonewalling. About 80% of the time it is men who stonewall. 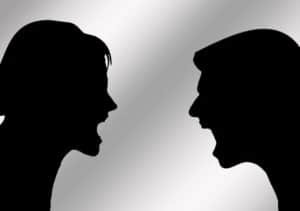 Men tend to experience conflict as more unpleasant in a visceral sense. Usually things will be “chilly” for a few hours or sometimes days then one partner or the other will do something to break the ice. The couple then goes back to interacting normally. However, because what was being discussed had no resolution it lays their dormant as an open item likely to be drawn into the next disagreement. This can become a vicious cycle where a conversation about anything quickly escalates into a conversation about everything. THE ANTIDOTES Each of the Four Horsemen have a corresponding “antidote” or the thing to do instead of the horsemen behavior. Think of it as doing less of column A and more of column B. The antidotes are correlated with increased relationship satisfaction. #1 Instead of Criticism — Express a Need We must first understand that a criticism is actually a poorly expressed need. Partner usually responds to the criticism instead of the underlying need. Its like putting a present inside of a prickly package. The reaction is to the package not the contents. Expressing a need is usually more fruitful than expressing a feeling. All partner can do with a feeling is try to empathize. A need is what connects us to the outside world. It is what partner can relate to. Try to express a need in terms that are do-able and observable. In other words, if this need were met, imagine what that would look like. #2 Instead of Defensiveness — Find the Merit then Find the Need The antidote to defensiveness has two parts. Both are important. The first part is to find the merit in the criticism. If partner is doing the first horsemen and criticizing you they are trying to express a need just doing it poorly. The object is to try to find the need. To get there we first need to find the merit in the criticism. Finding the merit in the criticism does not mean you agree with partner completely and whole heatedly. It comes from an understanding that criticisms are often exaggerated, leave out important aspects of the problem, are sometimes self-serving or unfair. However, there is usually a kernel or truth in there somewhere. By merely acknowledging the truth of that kernel the door opens to trying and find the need. Getting side-tracked and debating the merits merely give the horsemen energy. Ask partner what do they need about the problem. What would help them to be happy and well? What do they need in the present moment? #3 Instead of Contempt — Keep Perspective The hostility and disgust of the third horsemen is often derived from a lost of perspective. When we think of partner in globally negative terms we lose sight of important things. What is it that I love and respect about my partner when I am not upset or angry? Can I call those things forward now? Why did I choose this person above all others? Why was this person at one time my friend? Another way to keep perspective is to assume at least neutral motives to your partner. We often get drawn into contempt when we attribute negative intentions to partner. For example, they forgot to pick up the item we asked them to on purpose. Most of the time we are not intentionally setting out to hurt people with bad intentions. We make mistakes. We forget things. However, we usually have neutral motives. Try to have that be the assumption for the most part with partner. #4 Instead of Stonewalling — Pause, Repair, and Restart Remember that stonewalling is the result of being emotionally flooded. Nobody does anything well when they are flooded. The first thing to do is calm down a few notches. This might take a few seconds, a few hours, or after a good night’s sleep. It should not take longer than 24 hours. If it does, you might have some other problem that needs to be addressed. Once calmer, then make repair. Repair is different than saying your sorry. Saying your sorry often addresses the content of the disagreement. Repair addresses how we had the conversation. Repair might sound like: “You know that conversation we had this morning. I didn’t like the way that went. I think might part in it was I got pretty defensive when you were bringing up the issue. I also raised my voice which probably wasn’t helpful.” That’s it. Just consider what 2-3 things you may have done in the last conversation that contributed to it being a lousy one and own it. It’s that simple. It’s also very powerful. 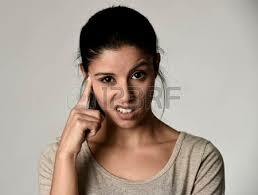 Repair keeps a lousy conversation from contaminating the next conversation the couple tries to have.